The Earth orbits the Sun once a year in a nearly circular orbit. 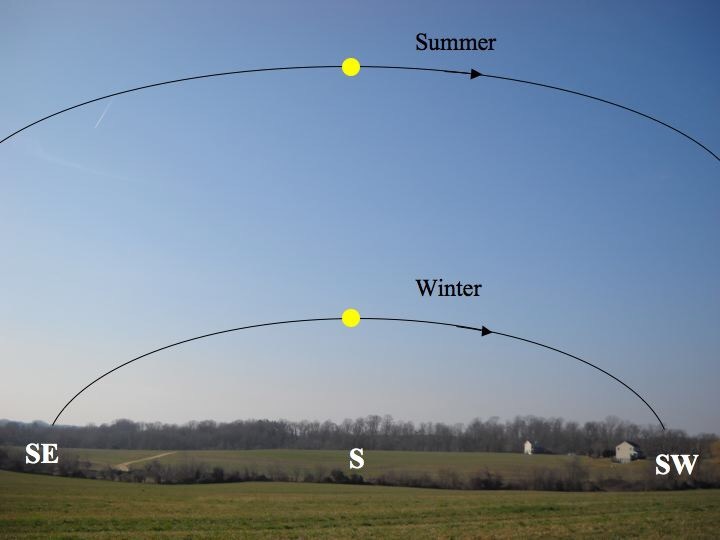 The Earth’s axis of rotation (the straight line through the center of the Earth between the north and south poles) is not perpendicular to the plane of the Earth’s orbit. The Earth’s axis is tilted by about 23.4° from the the direction perpendiular to the orbital plane. The orientation of the Earth’s axis in space remains nearly constant even as the Earth revolves around the Sun. It always points in the general direction of the star Polaris.